A promise is a promise! 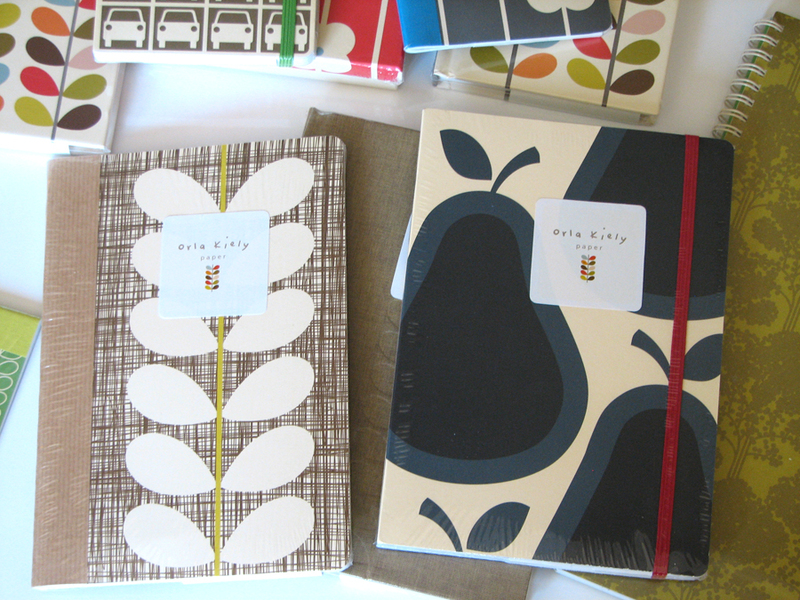 I mentioned just a few days ago that I would show you the new line of Orla Kiely Paper so here's a sneak preview in pictures. And as a bonus, and I wasn't asked to do this so it's not a sponsored contest or anything, I will send one decor8 reader a few goodies from the loot below just because I feel like sharing. :) Details below. 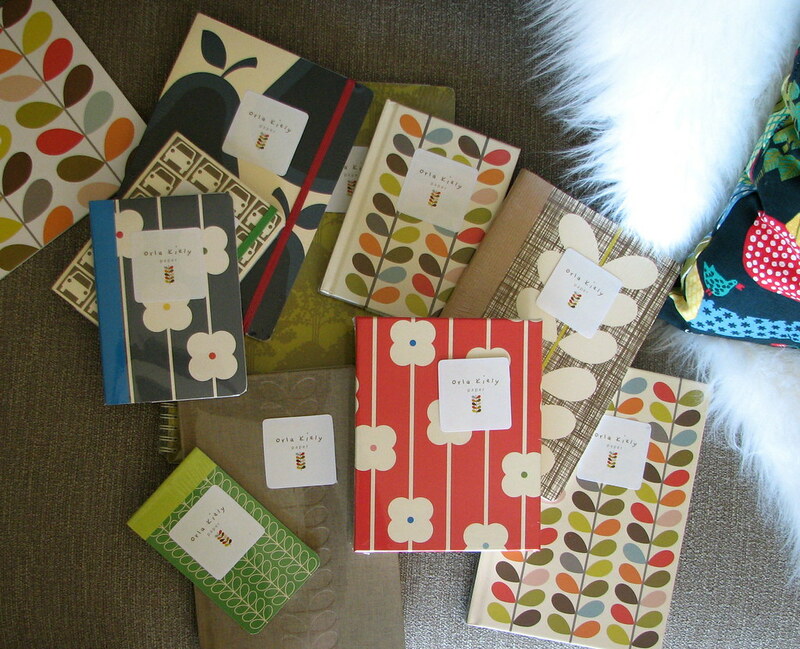 In the collection, you'll find flip books ($5), composition books ($10-12), spiral notebooks ($17), pocket notebooks ($13), large notebooks ($15), travel journals with stickers ($15), pocket hardbound journals ($25), hardbound address books ($30), and notecards ($17.50). 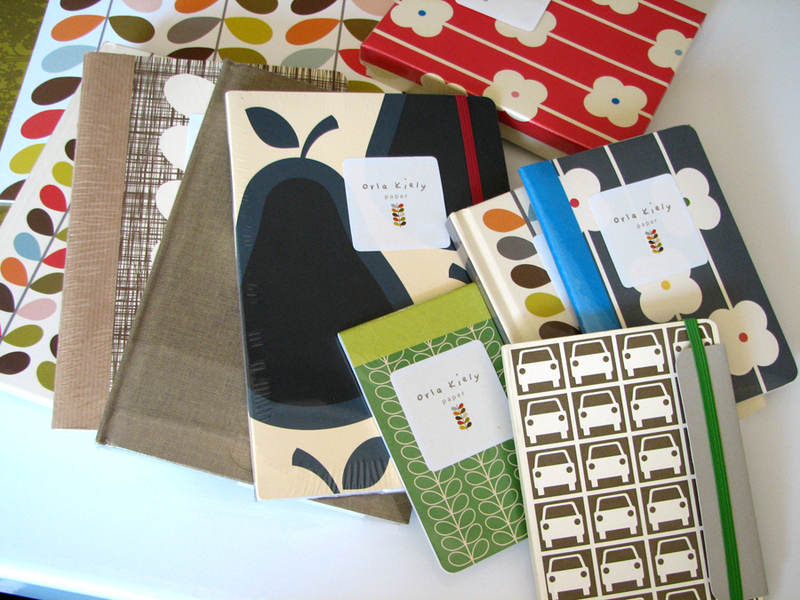 I like all of the attention that went into each item, some have bookmarks, graph paper, vellum inserts, stickers, patterned interior jackets, pockets, it's all very nice. 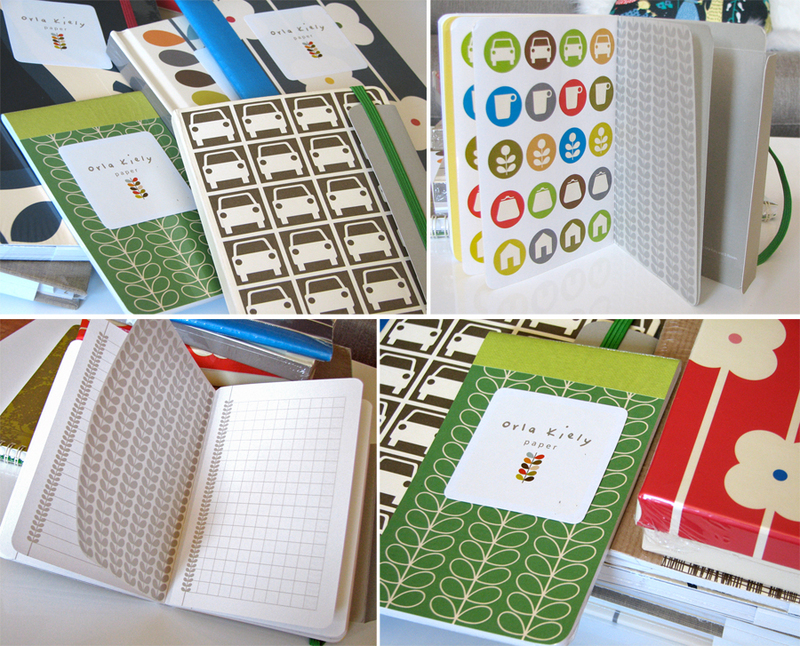 Even the address book comes with replacement labels because people are always on the move. These aren't yet available in stores, though retailers will soon be listed on the Orla Kiely website and Elizabeth at Twig mentioned this morning that she'll soon be carrying some of the items shown above. The collection will hit stores in the U.S. in April, so keep watching Orla's site for updates. This is exciting news for fans of Ms. Kiely for sure! To win a few goodies shown in these images, simply comment below with links to decor (home stuff like furniture, accessories, etc.) and stationery stores in your city that you don't currently see in the right column of decor8. If I've covered all your favorites, please comment with stores in other cities that I've missed. Only 1 store or 10, it's up to you. 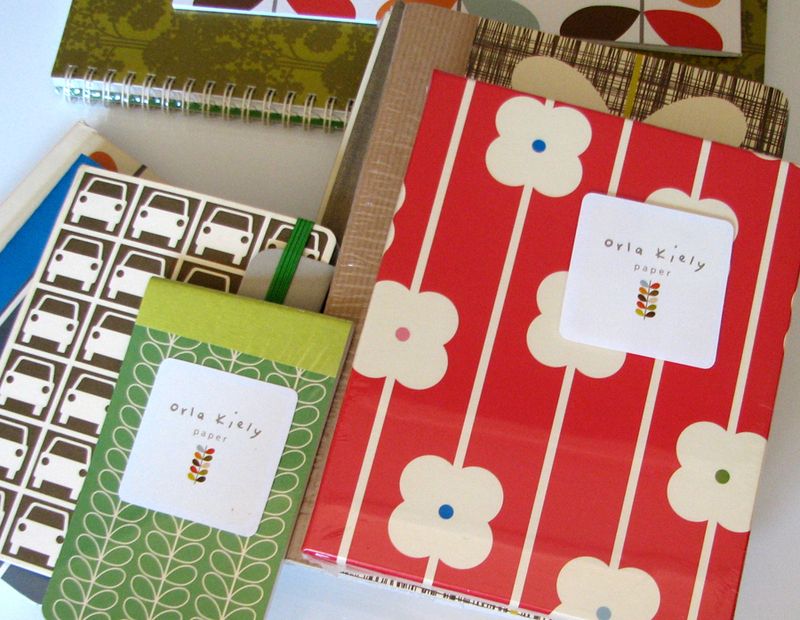 I'll select a random comment and send you a little Orla Kiely Paper gift pack. Please comment by midnight March 27th.